With so many things seemingly stacked against you – busy and bustling work days, long hours, and steep competition from other coffee shops, to name a few – it can seem almost impossible to get a new cafe business up and running. Similarly, improving the fortunes of an existing business may appear just as daunting. But luckily, that’s not the case. Having a successful cafe or coffee shop is achievable – the key is in thorough and clever planning. This guide will take you through the process of planning to start a new cafe - and the steps needed to actually open it. If you’re already a cafe owner and are looking to give your business a boost, you can skip to chapter three and onwards, which will help you to tweak your cafe business strategy, and offer advice as to how to increase success. 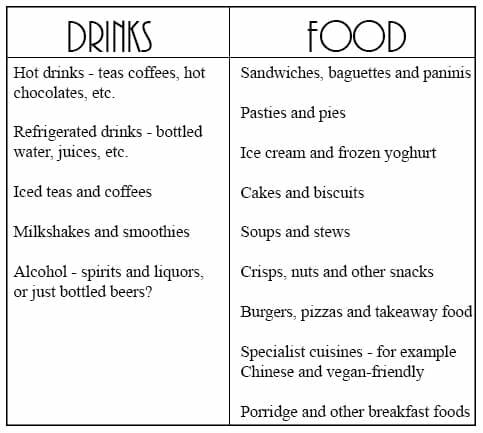 *Please note that the advice in this guide is applicable to both cafes and coffee shops – whether your product focus is food-based, drink-based or both. The terms ‘cafe’ and ‘coffee shop’ are used synonymously throughout the guide. 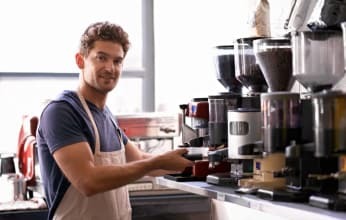 If you’re thinking of starting your own coffee shop, there are a number of considerations that need to be made beforehand. As well as the business plan and funding options that virtually any business will need to consider, starting a cafe has a number of its own unique challenges that you will need to overcome. The bad news is that there is not just one generic path to follow when starting a cafe, but rather, a number of steps that you will need to take time to work through. The good news is that thorough planning in the early stages of starting up will help to cement your coffee shop’s success in the future. With any business start-up, it’s helpful to have some background knowledge of the industry’s workings before getting involved with cafes and coffee shops, this knowledge can be particularly essential for long term success. Cafes typically fall into their own category, in a cross-section between catering and hospitality - and this so-called ‘coffee shop market’ has been growing eight times faster in the UK than the overall British economy.I In 2014, there were over 18,800 coffee-selling outlets in the UK, which sold over 2 billion coffees to the caffeine-craving British publicI. As these figures suggest, the cafe culture is alive, well, and rapidly growing in the UK. While the market is dominated overall by the big brands – with Costa Coffee, Starbucks and Caffe Nero holding a combined 54% share of the branded marketI – this is not necessarily bad news for the specialists and independent coffee shops out there. 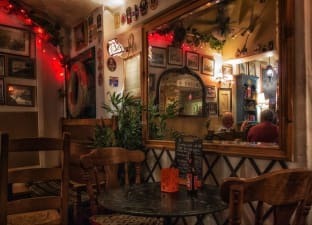 The number of smaller, independent cafes has risen dramatically in the past five years, as the British public becomes ever more conscientious about economical sustainability and the importance of supporting local businesses. Although the cafe culture has been booming in Britain in recent years, it’s important to remember that this does not automatically guarantee success in starting a coffee shop. With the increasing popularity of both take-away and sit-in cafes, there has naturally been a subsequent increase in the number starting up, resulting in a relatively crowded market place. With the iron grip of the big chain cafes holding the market tightly, plus an ever-growing influx of independents and specialist shops filling in the niches – where can a new cafe start-up expect to fit in? 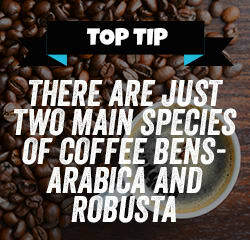 Specialise – whether that’s in a certain type of drink, such as this espresso bar, or an expert knowledge of the characteristics of different types of coffee bean, like this coffee shop, giving your cafe a specialism will give consumers a reason to choose it over others. Theme – choosing a theme for your cafe adds a novelty factor that can capture a customer’s curiosity. Anything from a dedicated cat emporium to an African-American soul music inspired cafe can be successful – as long as your theme is unique. Products – your cafe’s concept could be based around the products that you serve, for example, vintage cupcakes or even vegan friendly foods. Décor and atmosphere – a strong sense of style can sometimes be enough to pull in the punters – provided it is well-executed. Take this Egyptian-style cafe and this 50’s style diner as two good examples. Will your cafe serve food or be primarily beverage-led? Will you offer table service, or will customers order at the counter? Will your service be takeaway style, table service, or both? These are all important elements to bear in mind throughout the whole start-up process, as they will influence your cafe’s overall proposition. Before opening, it’s usually good practice to have an idea of who your core customers are likely to be, so that you can tailor your business proposition to their tastes. For cafes and coffee shops, this can be a particularly difficult task, as they are not generally limited to one demographic. For instance, a single cafe could easily be frequented by business men on their lunch breaks, young mothers catching up with friends, as well as elderly people taking a break from shopping. Because of this, it’s easy to see how cafe owners may find it difficult to know who to consider their core customer. Intention – a worker on their lunchbreak will want to grab a coffee and go, whereas someone meeting friends is likely to want to sit and stay a while. Your cafe can cater to both of these customer intentions, or choose one over the other. Preferences – if your cafe has a strong theme or concept, then this will likely define your core customers based on their preferences towards that theme. For instance, a dog-friendly cafe will be looking to attract dog lovers almost exclusively. An up-market residential village could mean consumers are likely to be retired, or middle aged with children. Your cafe’s location may be one of the most important factors in determining its success in the future. While no one can tell you how to choose the ‘right’ location – as what’s right for your business will depend entirely on your unique proposition – there are some tips you can follow to make sure you don’t choose the ‘wrong’ location. Building – the actual building that your cafe is located in is important. Its size will dictate the volume of customers and number of covers that your cafe can handle, and its shape will influence the layout, flow and functionality of your day-to-day operations. Immediate location – the location of your business building will have an impact on the number of people that see your business, and the volume of customers that you receive. For example, in a town centre, are you located on the main high street, or down a quiet side street? Area – it’s important to consider the wider area that you’ll be based in too, and how this could affect custom. For instance, think of the differences between a busy city centre cafe, and a coffee shop on a village square. 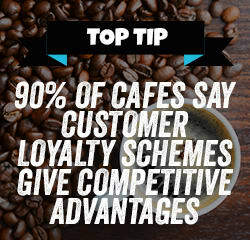 Competition – this is possibly one of the most important factors, as no matter how excellent your cafe’s proposition is, you may struggle to do business if the nearest 50 businesses are also coffee shops. Trying to find a balance between the number of competitors and the number of potential customers can be tricky, especially when you bring space and size requirements - as well as your USPs and affordability - into the equation. Chances are, you won’t be able to find a location that is 100% perfect for all of these factors, and as such you may find you have to make small compromises here and there. The important thing is that you thoroughly consider how your location will affect your business, and bear that knowledge in mind when choosing a premises. Introduction – a general overview of your business proposition. Objectives – targets that your business will aim to hit, and how you plan to measure them. Mission – your cafe’s purpose, and what you hope to achieve in opening it. Finance – this should be detailed, and include everything from initial investment to the cost of decorating, buying equipment and hiring staff. Location and premises – where your coffee shop will be located, and the implications of this location. 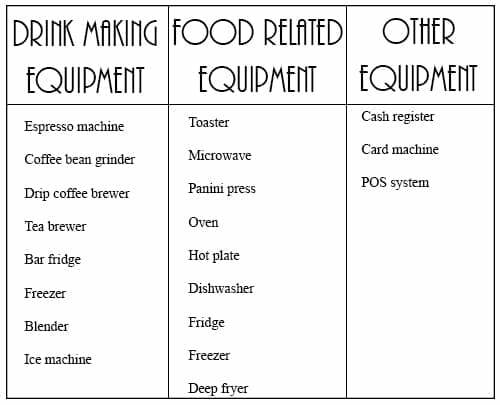 Products – a description of the food and/or drink products you intend to sell. Industry and competition – your research of the market place and how your cafe will fit into it. Remember to relate this back to your objectives. Target market – a description of your core customers, why you are targeting them and how you intend on appealing to them. It’s no secret that starting your own business will cost money. Calculating the total amount of money needed, and what it will be spent on, is often one of the most intimidating tasks for an entrepreneur to carry out. Although it’s virtually impossible to predict what the exact start-up costs for a cafe will be – as much will depend on that cafe’s unique circumstances – we can provide you with a checklist of potential costs to take into account. Premises – this includes your initial deposit as well as rent. Fitting and decorating – you will probably have to furnish and decorate your business premises before you open, and there’s a chance that you may even have to commission some building work, too. Other overheads – make sure you don’t forget about other expenses such as energy, water and cafe insurance. Tools and equipment – you’ll be relying on a number of tools and specialist equipment in your day to day operations, from coffee machines and fridges, to a till and card machine – all of which you will need to purchase before opening day. Make sure to remember kitchen equipment, too, if you plan on serving food. You may want to consider purchasing second hand equipment in a bid to keep costs down. Stock – as well as the products you’ll be selling to customers, this includes all the ingredients you may need to actually make those products. Wares – this includes cups, jugs, mugs, plates, bowls, cutlery and just about anything else necessary to actually serve your products to customers. After laying the foundations that are needed to start a cafe, you’ll need to move on to tackling the process of physically opening a cafe and getting the business up and running. While it may have seemed a difficult task to put together a business plan and prepare everything needed to open your coffee shop, now is the time to carry out your plan. The list of things that you’ll have to consider and coordinate in preparation for opening a coffee shop is a long one, but the key to working through it is to give each item due attention – don’t rush through anything. Discussed below are some of the most important aspects of preparing to open a cafe, as well as some tips on what to bear in mind when it comes to dealing with them. As you can see, the potential variety of products on a cafe’s menu spans a wide range. You’ll have to make a number of decisions about what types of product you want your business to sell, as well as consider the implications that selling certain products may bring – for example a licence to sell alcohol. Different products will have differing profit margins, and this is important to bear in mind, too. You may find it beneficial to keep your menu short and simple to begin with. As some ‘teething problems’ are to be expected in your first couple of weeks of opening, you don’t need to over complicate things for kitchen staff or baristas with a complex menu. It’s always possible to rethink your menuspecies of coffee bean at a later date and add to it if you feel capable of handling more. It’s likely that coffee is going to be one of the most integral products on your cafe’s menu, so it’s important that you choose your coffee beans carefully. Learning about the different varieties of beancan help you to make an informed decision – see this guide for an introduction. Once you have decided what types of food and drink your cafe will be selling, you can start thinking about designing and creating your menu. Remember, your cafe menu does not necessarily need to be a small booklet that customers leaf through while sat at a table. If you want to open a ‘grab and go’ style coffee shop, then your menu could be displayed entirely on large boards above the counter. Colour scheme – the colours and any images you use should be appropriate for your cafe’s concept. They can also be used to draw attention to certain areas of the menu, for example any specials or products that you particularly want to promote. Tone – this should also be a reflection of your cafe’s overall character. For example, if your cafe is an up-market bistro, then you might want to keep your tone of voice simple and minimalist. On the other hand, if you’re opening a more casual cafe, you may want to inject a bit of humour into your menu. Layout __ – customers are likely to start reading your menu from the upper left corner – as they would a book – and finish towards the bottom right. Bear this in mind when considering your menu’s layout. __Photos – You should use photographs of your products sparingly, and only if they have been professionally taken. 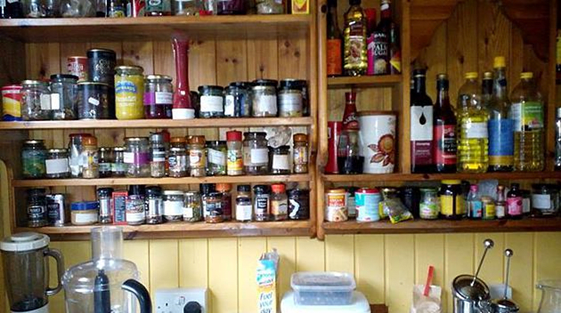 Bad photographs can easily discourage customers from ordering. Attention to detail – menus with typos, incorrect prices or formatting errors look unprofessional – and the mistakes can even be enough to put a potential customer off. As well as your main menu, you may also want to have an additional specials menu - or perhaps a seasonal menu. It’s also worth considering whether or not your cafe should have extra menu boards mounted on walls around the shop, or perhaps an A-board outside - and if so, what would be featured on them. Unfortunately, it’s not really possible to accurately predict how much all this equipment is likely to cost you, as prices can vary significantly. For example, you could easily spend thousands of pounds on a high quality espresso machine, or you may find a second hand one for a fraction of the price. It is possible to source second hand cafe equipment rather than buying everything brand new, and many cafe owners opt to do this in order to keep costs down in the early stages of start-up. Bar items such as stirrers, mixing glasses, bottle pourers and tongs. The chances are that, by this stage, you’ve already chosen a business premises - or you have a strong idea of where you would like it to be. The location of your cafe’s premises is incredibly important, but even after you’ve chosen the perfect place, there is still much to be done. Layout, décor and atmosphere are all significant factors in making your customers as comfortable as possible, but also in ensuring that day-to-day activities run as smoothly as possible. 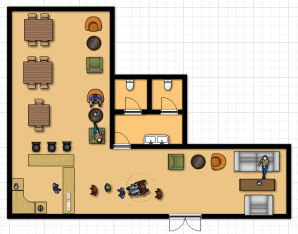 The size and shape of the premises you have chosen will ultimately influence the way that you lay out your cafe – for example where the entrance is, and where the main counter should go. The location of the door in relation to the main counter – the counter should be close enough to the door to allow customers to easily order coffee to go, but far away enough that a queue at the counter would not restrict access for customers who want to sit in. 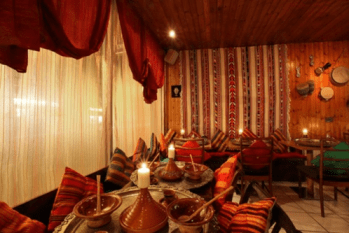 Food service – furniture should not block access to the kitchen or counter, and walkways should be open and easily navigable for waiting staff. Wheelchair access – your cafe layout should leave enough space to allow easy access for wheelchair users. You may also need to purchase ramps if your premises has steps, to make it more easily accessible. Colours – think about the experience that you want to give customers in your cafe - and indeed the demographic that you intend on attracting - and choose your cafe’s main colours based on this. For instance, if you’re intending on attracting a lot of young mothers to your cafe, then you may want to consider bright and colourful décor that they will be used to, having young children. Using visual sites such as Pinterest can help to give you inspiration. Lighting – consider not only the fixtures, but the actual levels of light in the room. You may want your cafe to be bright and sunny, or you may want to create an ambience with dimmed lighting. Sound – the music that you play in your cafe adds to the atmosphere. Think carefully about the style of music that you play, as well as the volume at which you play it. Temperature – you should keep your cafe at a comfortable temperature so that customers are neither too hot nor too cold. Keep an eye out for signs that the temperature may be wrong – for example customers wearing coats indoors. Cleanliness – making sure that your cafe is always clean – particularly in restrooms – is an important part of ensuring a positive customer experience. Furniture and wares – your cafe’s tables, chairs, cutlery and even cups and saucers should all reflect the overall design and décor theme. If you have the budget, you may want to consider enlisting the help of an interior designer to help you decorate your cafe. They will be able to give you design tips that will facilitate a good customer experience, as well as give you tips on how clever product placement can facilitate upselling. Food business registration – if you plan to cook for or sell food to the public, then you will need to obtain a food licence. Alcohol licence – you will only need this if you intend on selling alcohol on your business premises. Entertainment licence – this will allow you to play music in your cafe. Health and safety – the Food Standards Agency may need to carry out a health and safety inspection on your cafe premises, and give you a food hygiene rating certificate. Read their guide to food hygiene here. Environmental Health Service – you will likely be required to register your business with the Environmental Health Service before opening your doors to the public. Insurance – you may be required to have some forms of insurance in place before opening, depending on your business’s circumstances. 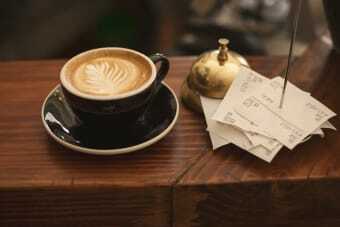 Read more about coffee shop insurance here. In order to make sure that your business is compliant with all rules and regulations, you should coordinate with your local council. They will be able to inform you of any regulations you must comply with, and you will also be able to apply for most licences through them. You can find contact details for your local council through this tool. Once your business has opened its doors to the public and started trading, a key aspect to focus on is efficiency - cutting costs and growing your customer base will help to improve the overall success of your business. Even if your cafe is well established and has been serving customers for years, it can often be beneficial to take the time to assess the way in which you currently operate and make changes to improve your service. Is your business opening at the right times of day? Defining what the ‘right’ times of day are for your business will depend largely on factors such as the location of your premises and your customer profiles. For instance, a cafe located in a quiet area may be able to save money by opening around midday – rather than in the morning – if there are few potential customers around early on. Similarly, a cafe catering to young professionals could benefit by staying open – or re-opening – in the evening to make the most of their social activity. Reconsidering your products and stock management techniques could help to you to save money by reducing waste, as well as increase sales. If your menu is extensive, try cutting unpopular items and sticking to the best sellers. This means that you will be able to reduce the amount of products that you have on site, and limit the amount of unused and wasted stock – particularly with food products. This will also give you the chance to focus on improving the quality of the items left. By only selling your most popular items, you have the chance to boost turnover through increasing the number of sales you make. Cafes and coffee shops can adopt different serving styles based on their unique propositions. For example, if you don’t currently offer a takeaway service, consider making it part of your proposition. Alternatively, you could add more seating options to cater for people who want to ‘sit-in’ rather than take-away. 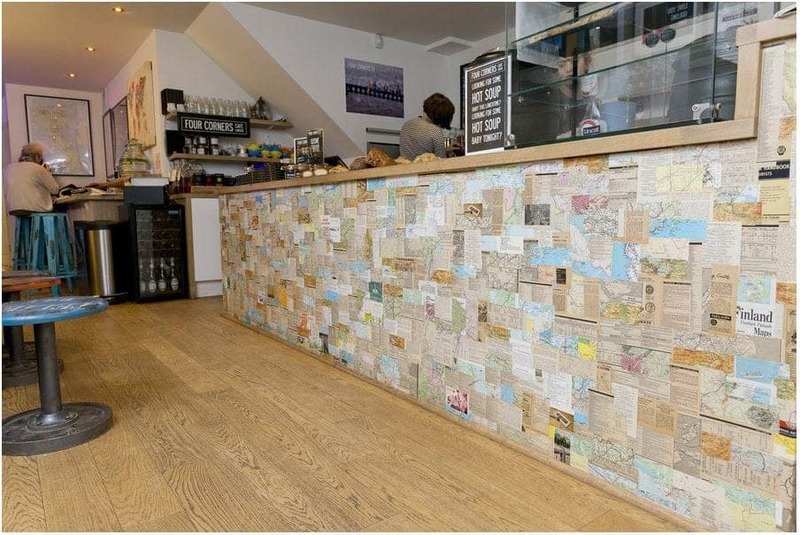 Whatever your current style, changing it slightly could increase the footfall and custom that your cafe gets. Many cafes charge different prices for sit-in or take-away products, which can give you the opportunity to both boost sales and increase custom if you strike the right combination. Quite often, there is the need to have formal processes in place - especially if you employ staff - to help ensure your cafe always operates at a certain standard. While these processes can be essential, it’s important that they also have an element of flexibility, so that you can easily adapt when circumstances change - or events catch you off guard. For instance, during busy periods your staff may not be able to interact with take-away customers as much as you’d like. In order to make sure that the personal element to your service is not lost, you could introduce a system of writing friendly messages on cups. Again, it’s important to remember that you will have to test any changes that you make on a trial and error basis, as success will be influenced by a number of factors unique to each cafe. Greet customers as they enter. Make eye contact as you’re serving them. Engage in small talk and chit chat. Be honest – if their coffee is going to take ten minutes, tell them. Anticipate their needs – for example, napkins for a spilled drink. Most cafes have their own regular customers, and the same is likely to be true for you. Remember, a regular could be someone who visits every morning on their way to work, or someone who comes for a bite to eat a few times a month. It’s essential that you take the time to identify and recognise these people, and make an effort to get to know them. Regular customers can have a significant influence in word-of-mouth advertising, and they are often a vital lifeline for your business during quiet periods where you may not have much other custom. Once you know your regulars, make sure that they know they’re appreciated. Simple gestures, such as giving away a free drink every now and then, can go a long way in securing their loyalty. Dealing with unhappy customers is never easy, but there are certain things you can do to handle complaints smoothly. The most important thing is to listen to what the customer is saying – if they feel you’re being empathetic and understanding, they are much more likely to come to an agreeable resolution with you. The customer isn’t always right, but it’s important that you learn to judge when to give in - and when to stand your ground. Sometimes, the cost of giving away a free coffee isn’t much compared to permanently losing a customer. In other cases, by taking the time to sit with the customer and understand each other’s situations you can come to a mutually beneficial resolution. A high level of customer service needs to be present and practised across your entire business, which means making sure that all of your staff’s customer service skills are up to scratch. Give them proper training before they get started so they know what’s expected of them, and reward the right behaviour to help ensure that standards don’t slip. Late or incorrect delivery may mean you do not have the correct stock or products to sell. Staff AWOL – service standards can fall easily when understaffed. 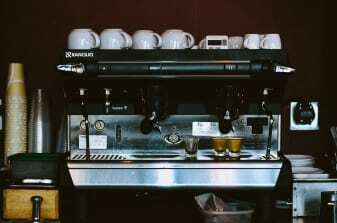 Equipment failure – the machine your cafe depends on could break at any time. Personal injury – yourself, a member of staff or a member of the public could sustain injury on your business premises. 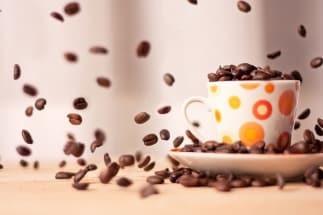 It can be useful to spend time thinking about all the possible hindrances your cafe could experience, and making sure that you have set processes in place to help you cope in the event that one occurs. For instance, do you have a secondary source for products if there is an issue with your primary supplier? Your business will suffer if you don’t have any products to sell, and it could have a knock on effect on your cafe’s reputation, too. There are many benefits of recruiting cafe staff, including reducing your own workload so you have more time to focus on other areas of the business. However, there are also certain downfalls that can come with having employees, such as those associated with not hiring the right people (discussed below), and entrusting the fate of your business to a stranger. What your competitors are doing – are there any cafes of a similar size and stature nearby? If so, how many additional staff members do they have? Are there other areas of the business that you wish you had the time to focus on? Would you need permanent staff, or just temporary ones – perhaps on a seasonal basis? If you have decided that your cafe could benefit from taking on staff, the next step is to advertise. Before doing this, it’s worth considering the type of person that would be best suited to fulfilling your cafe’s needs. For baristas and waiting staff – the employee should be a ‘people person’. Those with happy and bubbly personalities are ideal, as they are most likely to deliver a friendly, personable service to customers. Experience is preferable, but not essential as it is the personality that matters most. For kitchen staff – you will probably want to consider hiring kitchen staff that are experienced to begin with. This means looking for someone who has already worked in a kitchen, and is able to cope with high-pressure situations. When writing your job advertisement, make sure that you include a note of any personality requirements, or other prerequisites that you feel are appropriate. Don’t be afraid to set the bar high in order to get what your cafe needs. Once you have hired the perfect employees for your coffee shop, some training may be required. If this is the case, then you may find it useful to put together a training plan to make sure that all bases are covered. Many cafe owners decide to hire staff on a trial basis to begin with, so that their suitability can be assessed. You may also consider whether you want staff to start on quieter days, or throw them in at the deep end during your busiest periods. This decision may also depend on the amount of past experience that your prospective employees have. There’s a chance that you may have to deal with underperformance or misconduct of staff members. In this situation, it can be useful to have a pre-set disciplinary procedure to follow, and to make your staff aware of this procedure when you hire them. Performance issues could include poor customer service, failure to meet goals or unwillingness to carry out responsibilities. Conduct-related issues typically involve negligence, poor attendance, bad time keeping and hostile behaviour. Have you already given the employee fair warning about the issue? Are there any legal implications of dismissing this employee? Does the employee have rights that may be called into play? Do you need to give the employee notice? Will you need to replace them immediately, and if so, how difficult will that be? The government website has further useful information on disciplinary action against staff members, as well as a guide to staff dismissal that you can use, should you find yourself in this situation. Even the most established of businesses can make improvements - there is always something that you can do to boost your sales, increase revenue and grow your business. 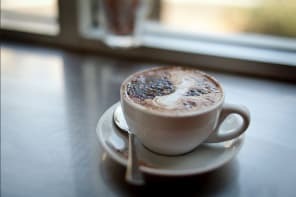 For many cafes, simply perfecting the most basic of techniques – such as upselling and cutting back on waste– can provide a significant boost to business prosperity. You may be looking for ways to increase custom in quiet periods, or you may be looking to expand your business on the whole. No matter what your goal is, there’s a good chance that reading through the following tips, and incorporating some of them into your daily procedures, will help to boost your cafe business for the better. One of the simplest ways that you can give your cafe’s business a boost is to upsell products. Upselling is the art of persuading a customer to buy something additional to – or more expensive than – what they were initially buying. For your cafe, this could be selling a large cappuccino rather than a regular, or convincing a customer to buy a muffin to go with their cup of tea. 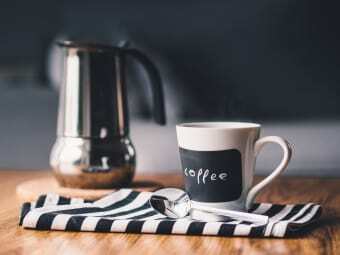 The average coffee shop will sell an average of 230 cups every dayIII, and the average price for a hot drink in the UK is currently about £2 for the smallest size, with the largest going for £2.50IV. *calculations based on 230 customers per day. Figures are estimates and should be used only as an indication. Figures do not take into account tax, or other overheads. 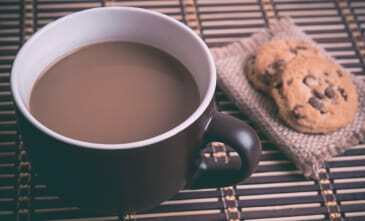 Similarly, just by selling a cookie (priced at £1.30) to 25% of your daily customers, you could boost your cafe sales by as much as 16% – and persuading half your customers to buy one could boost sales by more than 30%. If you sell food, there are often even more upselling opportunities to be had - as the customer is likely to be in your cafe for a longer period of time, you'll get the chance to have multiple verbal exchanges with them. Now that you understand the value of upselling – and the positive effect it can bring for your business – it’s important that you understand how to upsell effectively. Instead of just asking, “Would you like a cookie with that?” give the customer a reason to have the cookie. For instance, “Have you ever had one of our gingerbread cookies with a caramel latte? They go together so well – want to try?” In this case, knowing that the additional product is recognised as complimentary to the one they are already buying is likely to encourage the customer to purchase one more than a simple offer would. Try your best to make the products sound attractive. Instead of simply suggesting ‘a blueberry muffin’, try describing, ‘a blueberry muffin, freshly baked on-site this morning and still warm’ instead. No one is going to believe how great your products are if you don’t seem like you believe it yourself. Be energetic, use descriptive words - and remember to smile! Your upselling technique has to be carefully crafted, as customers will not react favourably if they feel put on the spot or pressured. Upselling should be in the name of improving the customer’s experience, rather than just brashly trying to make more money. You should make sure that upselling is part of your employee training to ensure staff are upselling tactfully and effectively. You can even put together a guide to predetermine products that should be upsold together in order to maximise efficiency. Train your staff to follow the above advice, and reward positive behaviour. You could even create a competition to see who can upsell the most, and award a prize to the winner. Original name – you want to make sure that customers can remember your name, and you certainly don’t want to be confused with any of your competitors. Personality – give your cafe a personality, and let that live through your branding. For instance, is your cafe chic, sophisticated and upmarket? Or is it more casual, relaxed and down-to-Earth? Do you want to inject an element of humour into your brand voice, or keep it ultra-professional? Colour scheme – the colours you use should be in line with your brand’s personality, theme, internal décor and overall environment. Font – try to avoid using the standard fonts that come with your computer. It’s well worth purchasing a font – or having one designed – in order to differentiate your brand and make it recognisable. Icon – you may want to design a simple icon to represent your brand, so that your cafe name does not always have to be spelled out, or your full logo used. For example, the icon to the right is sometimes used by Caffe Nero instead of their full logo. 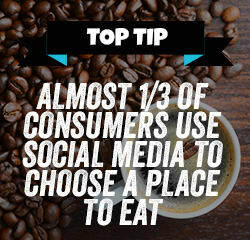 The world of online marketing is a big one, and tapping into it can produce a number of positive results for your cafe. As it’s likely that you will be doing most - if not all - marketing yourself, this guide covers some of the techniques that are simplest to implement. In the future, it’s worth remembering that employing the help of a professional digital marketer can often be beneficial, once you have exhausted most of the DIY marketing options. If your cafe does not already have a website, then you should seriously consider getting one - they are often cheap and relatively easy to set up. You only need a very basic site to begin with - one that lists simple details about your business, such as contact information, your address, and opening times. A copy of your current menu and prices is often useful, while pictures of your products and cafe interior are a nice addition, too. You may also want to consider creating a blog on your website – although it’s worth noting that you should be prepared to commit to posting at least once or twice a week on it. A blog can be highly beneficial for your digital marketing and search engine optimisation (SEO) efforts, as fresh, regular content can help to build your cafe’s online authority and draw new customers to your business. Facebook – as one of the most popular social platforms, a Facebook account will enable you to connect with a large number of potential customers - as well as explore a number of paid advertising options. Having a Facebook page is often as equally as important as a website, when it comes to things like contact details and opening times. Twitter – Twitter is a great platform for connecting with customers on a more informal, personal level. It’s also great for promoting special offers or advertising campaigns. Twitter is a very mobile-oriented platform, too, so you can easily tap into those using smartphone and tablet devices. Instagram – this is an image-centred platform which can give your cafe a chance to show off your products and premises in a visual way. It’s a good idea to make sure that you only post photos that are of a certain standard - low quality images only stand to deter customers, rather than attract them. Many consumers ‘eat with their eyes’, and a tempting photograph of a refreshing Frappuccino or an appetising pastry will often be enough to get them to try your cafe. Online review sites are important in influencing the way customers view a business, as well as their purchasing decisions. For a cafe, this is particularly true, as many people will look up food and drink reviews before visiting. Good reviews can win your cafe much custom, but bad reviews can severely damage your reputation, so focus on providing a good service - and even provide incentives for people to leave positive feedback online. Register your business on sites such as TripAdvisor, SquareMeal, and Zomato, and then make an effort to keep an eye on the feedback that your cafe is getting. Many of these sites will allow you to reply to comments that customers have left, so be sure to show gratitude for positive reviews, and try your best to accept criticism gracefully. Taking feedback on board and attempting to win over particularly disgruntled customers is an effective way to show you care about their views. Bloggers – contact popular food/drink bloggers in your area and invite them to try your products free of charge. If they have a positive experience in your cafe, their recommendation should influence their followers, who are likely to be consumers in your area. Google My Business – signing up for this service offers your cafe some exposure through Google search and Google Maps, when people in your local area search for your business type. For instance, your cafe may show up if someone searched for ‘coffee shops in Newcastle-Under-Lyme’ – if that’s where you’re located. Exclusive promotions – offering exclusive deals and offers to your online followers not only encourages more people to engage with your website and social accounts, but is a great way of encouraging repeat custom. Directories – make sure your business is listed on online directories such as Yelp, Foursquare and YellowPage.com. It will only take you a short time to create listings on these sites, and they can help to maximise online exposure for your cafe. While the world that we live in is increasingly digital-based, it’s important to remember the offline world, too. There are still a number of more traditional, offline marketing techniques that can be highly effective in boosting your business, and should not be overlooked. This is, arguably, still one of the most important and influential marketing methods there is. No digital advert or marketing campaign can truly trump a recommendation from a friend, so it’s important that you encourage your happy customers to spread the word about your cafe. There are a number of ways in which you can do this, from rewarding those who take part in a ‘refer-a-friend’ scheme to simply asking your regulars to bring their family or work colleagues in some time. The best way to turn your customers into advocates is to make sure that they have the best experience possible when in your cafe. Though a relatively old advertising technique, posters and flyers can still be effective in marketing your coffee shop – especially if you have a new product or promotion that you want people to know about. Even something as simple as handing out flyers with a free drink offer can work wonders, as it helps people cross the threshold of your business for the first time. After they have been once, they are much more likely to come a second and third time – providing the experience was positive. Forming relationships with other businesses near to you is important – and mutually beneficial agreements can be reached even with direct competitors. For instance, a customer could gain access to a special discount in your cafe by purchasing a drink in another. You may be able to attend small business networking events in your local area, and build partnerships with the people you meet there. Hosting events at your cafe can help to draw people's attention and attract new custom. An event could be something as simple as setting up a stall outside your shop to give away free samples - or, if you're feeling more adventurous, running an elaborate coffee bean masterclass for the public. Essentially, anything that goes beyond your daily order of business can help your café stand out to more people. You may want to tailor events to your target audience, or make it accessible for the general public. Either way, events can be a great way to get your cafe’s name out there and announce your presence. Again, this is a traditional, tried-and-tested marketing technique – and cafes across the UK still use it because it works. A customer loyalty scheme will help to facilitate return custom, and differentiate you from competitors if you use your own unique system. Recognise return customers – if you recognise someone’s face, make sure they know. If you can remember what they bought yesterday, then try to predict their order. For instance, “a medium chai latte, isn’t it?” Even if they decide to order something different, you will have already established a personal connection by recognising them, which can influence their decision to visit you again in the future. Give away something for free – rather than giving your customers ‘points’ to eventually get something for free, you could try just giving them something anyway. Whether that’s a free additional product, or 20% off their purchase, you can help to guarantee their custom by giving something away for free. Make them feel valued – asking your regulars for their opinion and their feedback will give them a personal stake in your cafe, which in turn encourages return custom. Now that you’ve read through all the tips and advice on starting, opening and running a successful cafe, you’ll probably have a lot of thoughts about your own business - and perhaps ideas for changes that you’d like to make. Yet there’s also a chance that you might be wondering how the advice given here could make a tangible difference to your business in particular. In order to conquer any doubts you may have, we decided to see what existing cafe owners – those who have been through the process of opening and building successful businesses – had to say, and what advice they would offer up to those starting out or looking to improve. The importance of believing in what you do is essential to a cafe’s success, as explained by the owner of the Khamsa Cafe in Brixton, Djamel Ait Idir. His philosophy is that having a burning passion for running a cafe can not only boost your business's chances of in the long run, but also help to carry you through difficult patches in the short term. Djamel believes that “you don’t need a business studies degree” to run your own cafe, as long as you believe in it. business is part of it. Small businesses don’t necessarily have the branding and recognition of their larger, corporate counterparts – they have to rely more on loyalty and custom from their local audience. Gary, the owner of the Four Corners Cafe in Waterloo, emphasises how “building a community of people” around your business is equally as important as your products or location. 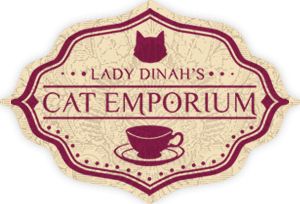 Even with the unique premise of being a Cat Emporium, Lauren Hill, owner of Lady Dinah’s, felt that her cafe needed something more to really set it apart from any other. “I wanted [an Alice in] Wonderland theme … and also something that was quite British, because obviously there are cat cafes all around the world, and I wanted this one to have its own, unique twist.” The Cat Emporium in Shoreditch is constantly bustling, and customers have to reserve a table to be able to visit – suggesting that it must be doing something right! 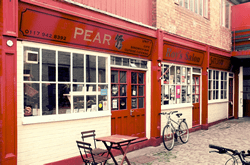 Owner of the successful Pear Cafe in Bristol, Elly, tells how she has never once paid for any advertising (and never will) – her marketing almost entirely relies on word of mouth. As mentioned in Chapter Four, word of mouth can often be one of the most powerful forms of advertising for a business – as verified by the Pear Cafe. Before opening her cafe, Jo Kruczynska spent years running her successful blog, Platelickers Anonymous. By the time it came round to actually opening her business, she had already built a name for herself in the relevant location and industry. 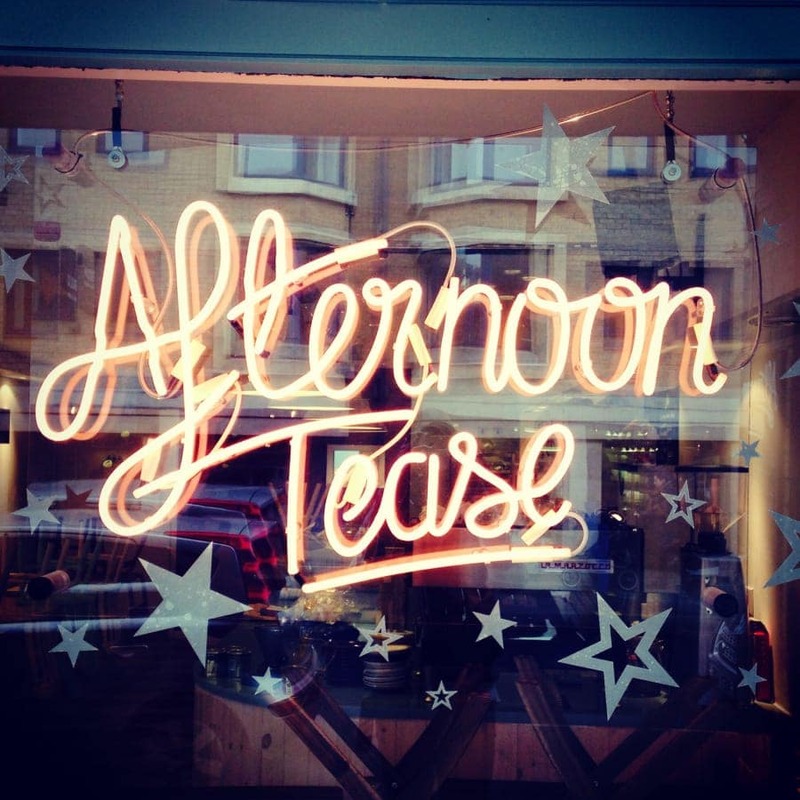 Although not everyone will want to take Jo’s approach to starting up, Afternoon Tease is a great example of how a blog can support, promote and benefit a cafe. The owners of Cafe Conor in Belfast have learnt to adapt in a changing economic environment over the years – and much of their success is attributed to this. William Clark and Manus McConn said that economic hardship forced them to “react to the challenge and be more aware of our customers’ needs”. For instance, as well as introducing new promotions, Conor Cafe now offers a children’s menu to cater to families, and the owners have taken a more hands-on approach to their cafe advertising and PR. Andrew Scott, whose Heaven Scent Coffee Shop is situated outside of a busy city, believes in the importance of creating the right atmosphere in your cafe, and giving customers a good experience. He credits much of his cafe’s success to offering the perfect combination of “good honest food, good surroundings and good people” – rather than just one or two of those things.